For other uses of “Nam”, see Nam (disambiguation). guerrilla war against the South Vietnamese government in 1959. U.S. involvement escalated in 1960, and continued in 1961 under President John F. Kennedy, with troop levels gradually surging under the MAAG program from just under a thousand in 1959 to 16,000 in 1963. By 1964, there were 23,000 U.S. troops in Vietnam, but this escalated further following the 1964 Gulf of Tonkin incident, in which a U.S. destroyer was alleged to have clashed with North Vietnamese fast attack craft. In response, the Gulf of Tonkin Resolution gave President Lyndon B. Johnson broad authorization to increase U.S. military presence, deploying ground combat units for the first time and increasing troop levels to 184,000. Past this point, the People’s Army of Vietnam (PAVN), also known as the North Vietnamese Army (NVA) engaged in more conventional warfare with US and South Vietnamese forces. 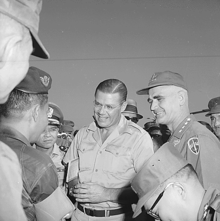 Every year onward there was significant build-up of US forces despite little progress, with Robert McNamara, one of the principal architects of the war, beginning to express doubts of victory by the end of 1966. U.S. and South Vietnamese forces relied on air superiority and overwhelming firepower to conduct search and destroy operations, involving ground forces, artillery, and airstrikes. 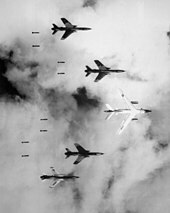 The U.S. conducted a large-scale strategic bombing campaign against North Vietnam. The Tet Offensive of 1968, proved to be the turning point of the war; despite years of American tutelage and aid the South Vietnamese forces were unable to withstand the communist offensive and the task fell to US forces instead. The Tet Offensive showed that the end of US involvement was not in sight, increasing domestic skepticism of the war. The unconventional and conventional capabilities of the Army of the Republic of Vietnam (ARVN) increased following a period of neglect and became modeled on heavy firepower-focused doctrines like US forces. Operations crossed international borders; bordering areas of Laos and Cambodia were used by North Vietnam as supply routes and were heavily bombed by U.S. forces. Gradual withdrawal of U.S. ground forces began as part of “Vietnamization“, which aimed to end American involvement in the war while transferring the task of fighting the communists to the South Vietnamese themselves and began the task of modernizing their armed forces. Direct U.S. military involvement ended on 15 August 1973 as a result of the Case–Church Amendment passed by the U.S. Congress. The capture of Saigon by the NVA in April 1975 marked the end of the war, and North and South Vietnam were reunified the following year. The war exacted a huge human cost in terms of fatalities (see Vietnam War casualties). Estimates of the number of Vietnamese soldiers and civilians killed vary from 966,000 to 3.8 million. Some 275,000–310,000 Cambodians, 20,000–62,000 Laotians, and 58,220 U.S. service members also died in the conflict, and a further 1,626 remain missing in action. [A 3] The Sino-Soviet split re-emerged following the lull during the Vietnam War and confllict between North Vietnam and its Cambodian allies in the Royal Government of the National Union of Kampuchea, and the newly-formed Democratic Kampuchea begun almost immediately in a series of border raids by the Khmer Rouge and erupted into the Cambodian–Vietnamese War, with Chinese forces directly intervening in the Sino-Vietnamese War. The end of the war and resumption of the Third Indochina War would precipitate the Vietnamese boat people and the bigger Indochina refugee crisis, which saw an estimated 250,000 people perish at sea. Within the US the war gave rise to what was referred to as Vietnam Syndrome, a public aversion to American overseas military involvements, which together with Watergate contributed to the crisis of confidence that affected America throughout the 1970s. As there have been several conflicts in Indochina, this particular conflict is known by the names of its primary protagonists to distinguish it from others. In Vietnamese, the war is generally known as Kháng chiến chống Mỹ (Resistance War Against America), but less formally as ‘Cuộc chiến tranh Mỹ’ (The American War). 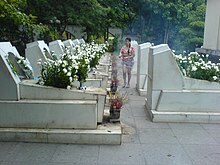 It is also called Chiến tranh Việt Nam (The Vietnam War). 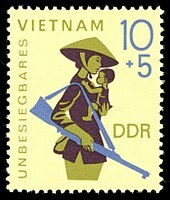 The primary military organizations involved in the war were as follows: One side consisted of the Army of the Republic of Vietnam (ARVN) and the United States armed forces, while the other side consisted of the People’s Army of Vietnam (PAVN) (more commonly called the North Vietnamese Army, or NVA, in English-language sources) and the National Front for the Liberation of South Vietnam (NLF, more commonly known as the Viet Cong in English language sources), a South Vietnamese communist guerrilla force. Indochina was a French colony during the 19th century. When the Japanese invaded during World War II, the Viet Minh opposed them with support from the US, the Soviet Union and China. They received some Japanese arms when Japan surrendered. The Viet Minh, a Communist-led common front under the leadership of Ho Chi Minh, then initiated an insurgency against French rule. Hostilities escalated into the First Indochina War (beginning in December 1946). By the 1950s, the conflict had become entwined with the Cold War. In January 1950, China and the Soviet Union recognized the Viet Minh’s Democratic Republic of Vietnam, based in Hanoi, as the legitimate government of Vietnam. The following month the United States and Great Britain recognized the French-backed State of Vietnam in Saigon, led by former Emperor Bảo Đại, as the legitimate Vietnamese government. The outbreak of the Korean War in June 1950 convinced many Washington policymakers that the war in Indochina was an example of communist expansionism directed by the Soviet Union. Military advisors from the People’s Republic of China (PRC) began assisting the Viet Minh in July 1950. PRC weapons, expertise, and laborers transformed the Viet Minh from a guerrilla force into a regular army. In September 1950, the United States created a Military Assistance and Advisory Group (MAAG) to screen French requests for aid, advise on strategy, and train Vietnamese soldiers. By 1954, the United States had spent US$1 billion in support of the French military effort, shouldering 80 percent of the cost of the war. During the Battle of Dien Bien Phu, U.S. carriers sailed to the Gulf of Tonkin and the U.S. conducted reconnaissance flights. There were also talks between the French and Americans in which the possible use of three tactical nuclear weapons was considered, though reports of how seriously this was considered and by whom are vague and contradictory. According to U.S. Vice-President Richard Nixon, the plan involved the Joint Chiefs of Staff drawing up plans to use three small tactical nuclear weapons in support of the French. Nixon, a so-called “hawk” on Vietnam, suggested that the United States might have to “put American boys in”. U.S. President Dwight D. Eisenhower made American participation contingent on British support, but the British were opposed. Eisenhower decided against U.S. military intervention, being wary of getting the United States involved in a land war in Asia. Throughout the conflict, U.S. intelligence estimates remained skeptical of French chances of success. 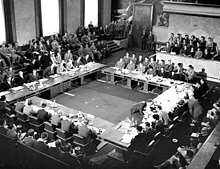 At the 1954 Geneva peace conference, Vietnam was temporarily partitioned at the 17th parallel. Ho Chi Minh had wished to continue the war in the south, but was restrained by his Chinese allies who convinced him that he could win control by electoral means. Under the terms of the Geneva Accords, civilians were to be given the opportunity to move freely between the two provisional states for a 300-day period. Elections throughout the country were to be held in 1956 to establish a unified government. Around one million northerners, mainly minority Catholics, fled south, fearing persecution by the communists. 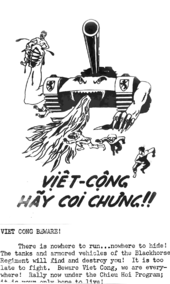 This followed an American psychological warfare campaign, designed by Edward Lansdale for the CIA, which exaggerated anti-Catholic sentiment among the Viet Minh and which falsely claimed the US was about to drop atomic bombs on Hanoi. The exodus was coordinated by a U.S.-funded $93 million relocation program, which included the use of the Seventh Fleet to ferry refugees. The northern, mainly Catholic refugees gave the later Ngô Đình Diệm regime a strong anti-communist constituency. Diệm staffed his government’s key posts mostly with northern and central Catholics. In addition to the Catholics flowing south, up to 130,000 “Revolutionary Regroupees” went to the north for “regroupment”, expecting to return to the south within two years. The Viet Minh left roughly 5,000 to 10,000 cadres in the south as a base for future insurgency. The last French soldiers were to leave Vietnam in April 1956. The PRC completed its withdrawal from North Vietnam at around the same time. Around 52,000 Vietnamese civilians moved from south to north. Between 1953 and 1956, the North Vietnamese government instituted various agrarian reforms, including “rent reduction” and “land reform”, which resulted in significant political oppression. 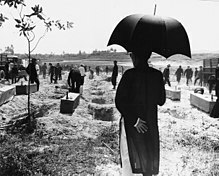 During the land reform, testimony from North Vietnamese witnesses suggested a ratio of one execution for every 160 village residents, which extrapolated nationwide would indicate nearly 100,000 executions. Because the campaign was concentrated mainly in the Red River Delta area, a lower estimate of 50,000 executions became widely accepted by scholars at the time. However, declassified documents from the Vietnamese and Hungarian archives indicate that the number of executions was much lower than reported at the time, although likely greater than 13,500. 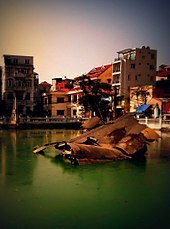 In 1956, leaders in Hanoi admitted to “excesses” in implementing this program and restored a large amount of the land to the original owners. The south, meanwhile, constituted the State of Vietnam, with Bảo Đại as Emperor and Ngô Đình Diệm (appointed in July 1954) as his prime minister. Neither the United States government nor Ngô Đình Diệm’s State of Vietnam signed anything at the 1954 Geneva Conference. With respect to the question of reunification, the non-communist Vietnamese delegation objected strenuously to any division of Vietnam, but lost out when the French accepted the proposal of Viet Minh delegate Phạm Văn Đồng, who proposed that Vietnam eventually be united by elections under the supervision of “local commissions”. The United States countered with what became known as the “American Plan”, with the support of South Vietnam and the United Kingdom. It provided for unification elections under the supervision of the United Nations, but was rejected by the Soviet delegation. The United States said, “With respect to the statement made by the representative of the State of Vietnam, the United States reiterates its traditional position that peoples are entitled to determine their own future and that it will not join in any arrangement which would hinder this”. According to the Pentagon Papers, however, from 1954 to 1956 “Ngô Đình Diệm really did accomplish miracles” in South Vietnam: “It is almost certain that by 1956 the proportion which might have voted for Ho—in a free election against Diệm—would have been much smaller than eighty percent.” In 1957, independent observers from India, Poland, and Canada representing the International Control Commission (ICC) stated that fair, unbiased elections were not possible, with the ICC reporting that neither South nor North Vietnam had honored the armistice agreement. In a referendum on the future of the State of Vietnam on 23 October 1955, Diệm rigged the poll supervised by his brother Ngô Đình Nhu and was credited with 98.2 percent of the vote, including 133% in Saigon. His American advisors had recommended a more modest winning margin of “60 to 70 percent.” Diệm, however, viewed the election as a test of authority. Three days later, he declared South Vietnam to be an independent state under the name Republic of Vietnam (ROV), with himself as president. Likewise, Ho Chi Minh and other communist officials always won at least 99% of the vote in North Vietnamese “elections”. Beginning in the summer of 1955, Diệm launched the “Denounce the Communists” campaign, during which suspected communists and other anti-government elements were arrested, imprisoned, tortured, or executed. He instituted the death penalty against any activity deemed communist in August 1956. About 12,000 suspected opponents of Diệm were killed between 1955 and 1957, and by the end of 1958, an estimated 40,000 political prisoners had been jailed. 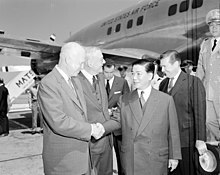 In May 1957, Diệm undertook a ten-day state visit to the United States. President Eisenhower pledged his continued support, and a parade was held in Diệm’s honor in New York City. Although Diệm was publicly praised, Secretary of State John Foster Dulles conceded in private that Diệm had been selected because there were no better alternatives. Between 1954 and 1957, there was large-scale but disorganized dissidence in the countryside, which the Diệm government succeeded in quelling. In early 1957, South Vietnam enjoyed its first peace in over a decade. Incidents of political violence began to occur in mid-1957, but the government “did not construe it as a campaign, considering the disorders too diffuse to warrant committing major GVN [Government of Vietnam] resources.” By early 1959, however, Diệm had come to regard the (increasingly frequent) disorders as an organized campaign and implemented Law 10/59, which made political violence punishable by death and property confiscation. There had been some division among former Viet Minh whose main goal was to hold the elections promised in the Geneva Accords, leading to “wildcat” activities separate from the other communists and anti-GVN activists. In December 1960, the National Liberation Front (NLF, a.k.a. the Viet Cong) was formally created with the intent of uniting all anti-GVN activists, including non-communists. It was formed in Memot, Cambodia, and directed through a central office known as COSVN. According to the Pentagon Papers, the Viet Cong “placed heavy emphasis on the withdrawal of American advisors and influence, on land reform and liberalization of the GVN, on coalition government and the neutralization of Vietnam.” The identities of the leaders of the organization often were kept secret. Support for the NLF was driven by peasant resentment of Diem’s reversal of land reforms in the countryside. The vast majority of the population lived in villages in the countryside, where a key demand was for land reform. In areas they controlled, the Viet Minh had confiscated large private landholdings, reduced rents and debts, and leased communal lands, mostly to the poorer peasants. Diem brought the landlords back to the villages. People who were farming land they had held for years now had to return it to landlords and pay years of back rent. 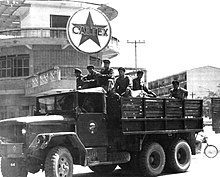 This rent collection was enforced by the South Vietnamese army. The divisions within villages reproduced those that had existed against the French: “75 percent support for the NLF, 20 percent trying to remain neutral and 5 percent firmly pro-government”. Contrary to United States policy assumptions, all available evidence shows that the revival of the civil war in the South in 1958 was undertaken by Southerners at their own—not Hanoi’s—initiative… Insurgency activity against the Saigon government began in the South under Southern leadership not as a consequence of any dictate from Hanoi, but contrary to Hanoi’s injunctions. Similarly, historian Arthur Schlesinger Jr. states that “it was not until September 1960 that the Communist Party of North Vietnam bestowed its formal blessing and called for the liberation of the south from American imperialism“. In March 1956, southern communist leader Lê Duẩn presented a plan to revive the insurgency entitled “The Road to the South” to the other members of the Politburo in Hanoi; however, as both China and the Soviets opposed confrontation at this time, Lê Duẩn’s plan was rejected. Despite this, the North Vietnamese leadership approved tentative measures to revive the southern insurgency in December 1956. Communist forces were under a single command structure set up in 1958. The North Vietnamese Communist Party approved a “people’s war” on the South at a session in January 1959, and, in May, Group 559 was established to maintain and upgrade the Ho Chi Minh trail, at this time a six-month mountain trek through Laos. About 500 of the “regroupees” of 1954 were sent south on the trail during its first year of operation. The first arms delivery via the trail was completed in August 1959. About 40,000 communist soldiers infiltrated the south from 1961 to 1963. In the 1960 U.S. presidential election, Senator John F. Kennedy defeated incumbent Vice President Richard Nixon. Although Eisenhower warned Kennedy about Laos and Vietnam, Europe and Latin America “loomed larger than Asia on his sights.” In June 1961, he bitterly disagreed with Soviet premier Nikita Khrushchev when they met in Vienna to discuss key U.S.–Soviet issues. Only 16 months later, the Cuban Missile Crisis (16–28 October 1962) played out on television worldwide. It was the closest the Cold War came to escalating into a full-scale nuclear war, and the U.S. raised the readiness level of Strategic Air Command (SAC) forces to DEFCON 2. 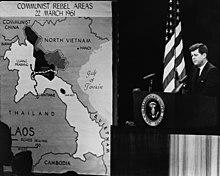 Kennedy’s policy toward South Vietnam rested on the assumption that Diệm and his forces had to ultimately defeat the guerrillas on their own. 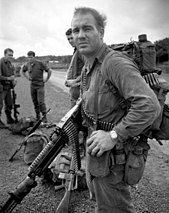 He was against the deployment of American combat troops and observed that “to introduce U.S. forces in large numbers there today, while it might have an initially favorable military impact, would almost certainly lead to adverse political and, in the long run, adverse military consequences.” The quality of the South Vietnamese military, however, remained poor. Poor leadership, corruption, and political promotions all played a part in weakening the South Vietnamese Army (formally Army of the Republic of Vietnam or ARVN). The frequency of guerrilla attacks rose as the insurgency gathered steam. While Hanoi’s support for the Viet Cong played a role, South Vietnamese governmental incompetence was at the core of the crisis. One major issue Kennedy raised was whether the Soviet space and missile programs had surpassed those of the United States. Although Kennedy stressed long-range missile parity with the Soviets, he was also interested in using special forces for counterinsurgency warfare in Third World countries threatened by communist insurgencies. Although they were originally intended for use behind front lines after a conventional Soviet invasion of Europe, Kennedy believed that the guerrilla tactics employed by special forces such as the Green Berets would be effective in a “brush fire” war in Vietnam. Kennedy advisors Maxwell Taylor and Walt Rostow recommended that U.S. troops be sent to South Vietnam disguised as flood relief workers. Kennedy rejected the idea but increased military assistance yet again. In April 1962, John Kenneth Galbraith warned Kennedy of the “danger we shall replace the French as a colonial force in the area and bleed as the French did.” By November 1963, there were 16,000 American military personnel in South Vietnam, up from Eisenhower’s 900 advisors. Strategic hamlets had failed … The South Vietnamese regime was incapable of winning the peasantry because of its class base among landlords. Indeed, there was no longer a ‘regime’ in the sense of a relatively stable political alliance and functioning bureaucracy. Instead, civil government and military operations had virtually ceased. The National Liberation Front had made great progress and was close to declaring provisional revolutionary governments in large areas. Discontent with Diệm’s policies exploded in May 1963 following the Huế Phật Đản shootings of nine unarmed Buddhists who were protesting against the ban on displaying the Buddhist flag on Vesak, the Buddha’s birthday. 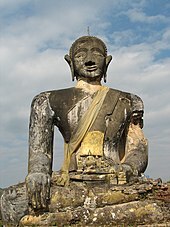 This resulted in mass protests against discriminatory policies that gave privileges to the Catholic Church and its adherents over the Buddhist majority. Diệm’s elder brother Ngô Đình Thục was the Archbishop of Huế and aggressively blurred the separation between church and state. Thuc’s anniversary celebrations shortly before Vesak had been bankrolled by the government, and Vatican flags were displayed prominently. There had also been reports of Buddhist pagodas being demolished by Catholic paramilitaries throughout Diệm’s rule. Diệm refused to make concessions to the Buddhist majority or take responsibility for the deaths. On 21 August 1963, the ARVN Special Forces of Colonel Lê Quang Tung, loyal to Diệm’s younger brother Ngô Đình Nhu, raided pagodas across Vietnam, causing widespread damage and destruction and leaving a death toll estimated to range into the hundreds. U.S. officials began discussing the possibility of a regime change during the middle of 1963. The United States Department of State was generally in favor of encouraging a coup, while the Defense Department favored Diệm. Chief among the proposed changes was the removal of Diệm’s younger brother Nhu, who controlled the secret police and special forces, and was seen as the man behind the Buddhist repression and more generally the architect of the Ngô family’s rule. This proposal was conveyed to the U.S. embassy in Saigon in Cable 243. The Central Intelligence Agency (CIA) was in contact with generals planning to remove Diệm. They were told that the United States would not oppose such a move nor punish the generals by cutting off aid. President Diệm was overthrown and executed, along with his brother, on 2 November 1963. When Kennedy was informed, Maxwell Taylor remembered that he “rushed from the room with a look of shock and dismay on his face.” Kennedy had not anticipated Diệm’s murder. 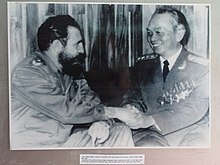 The U.S. ambassador to South Vietnam, Henry Cabot Lodge, invited the coup leaders to the embassy and congratulated them. Ambassador Lodge informed Kennedy that “the prospects now are for a shorter war”. Kennedy wrote Lodge a letter congratulating him for “a fine job”. U.S. military advisors were embedded at every level of the South Vietnamese armed forces. They were however criticized for ignoring the political nature of the insurgency. The Kennedy administration sought to refocus U.S. efforts on pacification and “winning over the hearts and minds” of the population. The military leadership in Washington, however, was hostile to any role for U.S. advisors other than conventional troop training. General Paul Harkins, the commander of U.S. forces in South Vietnam, confidently predicted victory by Christmas 1963. The CIA was less optimistic, however, warning that “the Viet Cong by and large retain de facto control of much of the countryside and have steadily increased the overall intensity of the effort”. Paramilitary officers from the CIA’s Special Activities Division trained and led Hmong tribesmen in Laos and into Vietnam. The indigenous forces numbered in the tens of thousands and they conducted direct action missions, led by paramilitary officers, against the Communist Pathet Lao forces and their North Vietnamese supporters. The CIA also ran the Phoenix Program and participated in Military Assistance Command, Vietnam – Studies and Observations Group (MAC-V SOG), which was originally named the Special Operations Group, but was changed for cover purposes. President Kennedy was assassinated on November 22, 1963. Vice President Lyndon B. Johnson had not been heavily involved with policy toward Vietnam; however, upon becoming president, Johnson immediately focused on the war. On 24 November 1963, he said, “the battle against communism … must be joined … with strength and determination.” Johnson knew he had inherited a rapidly deteriorating situation in South Vietnam, but he adhered to the widely accepted domino theory argument for defending the South: Should they retreat or appease, either action would imperil other nations beyond the conflict. The military revolutionary council, meeting in lieu of a strong South Vietnamese leader, was made up of 12 members. This council was headed by General Dương Văn Minh, whom Stanley Karnow, a journalist on the ground, later recalled as “a model of lethargy”. Lodge, frustrated by the end of the year, cabled home about Minh: “Will he be strong enough to get on top of things?” Minh’s regime was overthrown in January 1964 by General Nguyễn Khánh. There was also persistent instability in the military, however, as several coups—not all successful—occurred in a short period of time. 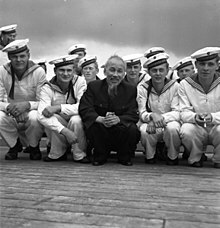 In a statement similar to that made to the French almost two decades earlier, Ho Chi Minh warned that if the Americans “want to make war for twenty years then we shall make war for twenty years. If they want to make peace, we shall make peace and invite them to afternoon tea.” Some have argued that the policy of North Vietnam was not to topple other non-communist governments in South East Asia. On 2 August 1964, USS Maddox, on an intelligence mission along North Vietnam’s coast, allegedly fired upon and damaged several torpedo boats that had been stalking it in the Gulf of Tonkin. A second attack was reported two days later on USS Turner Joy and Maddox in the same area. The circumstances of the attacks were murky. Lyndon Johnson commented to Undersecretary of State George Ball that “those sailors out there may have been shooting at flying fish.” An undated NSA publication declassified in 2005 revealed that there was no attack on 4 August. The second “attack” led to retaliatory air strikes, and prompted Congress to approve the Gulf of Tonkin Resolution on 7 August 1964. Although most Congressmen at the time denied that this was a full-scale war declaration, the Tonkin Resolution granted the president unilateral power to launch any military actions he deemed necessary. In the same month, Johnson pledged that he was not “committing American boys to fighting a war that I think ought to be fought by the boys of Asia to help protect their own land”. The National Security Council recommended a three-stage escalation of the bombing of North Vietnam. 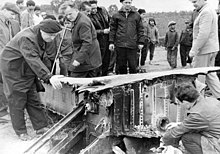 Following an attack on a U.S. Army base in Pleiku on 7 February 1965, a series of air strikes was initiated, Operation Flaming Dart, while Soviet Premier Alexei Kosygin was on a state visit to North Vietnam. Operation Rolling Thunder and Operation Arc Light expanded aerial bombardment and ground support operations. The bombing campaign, which ultimately lasted three years, was intended to force North Vietnam to cease its support for the Viet Cong by threatening to destroy North Vietnamese air defenses and industrial infrastructure. It was additionally aimed at bolstering the morale of the South Vietnamese. Between March 1965 and November 1968, “Rolling Thunder” deluged the north with a million tons of missiles, rockets and bombs. Massive aerial bombardment against the Pathet Lao and People’s Army of Vietnam forces were carried out by the US to prevent the collapse of the Royal central government, and to deny the use of the Ho Chi Minh Trail. Between 1964 and 1973, the U.S. dropped two million tons of bombs on Laos, nearly equal to the 2.1 million tons of bombs the U.S. dropped on Europe and Asia during all of World War II, making Laos the most heavily bombed country in history relative to the size of its population. The objective of stopping North Vietnam and the Viet Cong was never reached. The Chief of Staff of the United States Air Force Curtis LeMay, however, had long advocated saturation bombing in Vietnam and wrote of the communists that “we’re going to bomb them back into the Stone Age”. Following the Gulf of Tonkin Resolution, Hanoi anticipated the arrival of US troops and began expanding the Viet Cong, as well as sending increasing numbers of North Vietnamese personnel southwards. At this phase they were outfitting the Viet Cong forces and standardising their equipment with AK-47 rifles and other supplies, as well as forming the 9th Division. “From a strength of approximately 5,000 at the start of 1959 the Viet Cong’s ranks grew to about 100,000 at the end of 1964 … Between 1961 and 1964 the Army’s strength rose from about 850,000 to nearly a million men.” The numbers for U.S. troops deployed to Vietnam during the same period were much lower: 2,000 in 1961, rising rapidly to 16,500 in 1964. During this phase, the use of captured equipment decreased, while greater numbers of ammunition and supplies were required to maintained regular units. Group 559 was tasked with expanding the Ho Chi Minh Trail, in light of the near constant bombardment by US warplanes. The war had begun to shift into the final, conventional warfare phase of Hanoi’s three-stage protracted warfare model. The Viet Cong was now tasked with destroying the ARVN and capturing and holding areas; however, the Viet Cong was not yet strong enough to assault major towns and cities. On 8 March 1965, 3,500 U.S. Marines were unilaterally dispatched to South Vietnam. This marked the beginning of the American ground war. U.S. public opinion overwhelmingly supported the deployment. The Marines’ initial assignment was defensive. The first deployment of 3,500 in March 1965 was increased to nearly 200,000 by December. The U.S. military had long been schooled in offensive warfare. Regardless of political policies, U.S. commanders were institutionally and psychologically unsuited to a defensive mission. The plan was approved by Johnson and marked a profound departure from the previous administration’s insistence that the government of South Vietnam was responsible for defeating the guerrillas. Westmoreland predicted victory by the end of 1967. Johnson did not, however, communicate this change in strategy to the media. Instead he emphasized continuity. The change in U.S. policy depended on matching the North Vietnamese and the Viet Cong in a contest of attrition and morale. The opponents were locked in a cycle of escalation. The idea that the government of South Vietnam could manage its own affairs was shelved. Westmoreland and McNamara furthermore touted the body count system for gauging victory, a metric that would later prove to be flawed. The American buildup transformed the South Vietnamese economy and had a profound effect on society. South Vietnam was inundated with manufactured goods. Stanley Karnow noted that “the main PX [Post Exchange], located in the Saigon suburb of Cholon, was only slightly smaller than the New York Bloomingdale’s …” A huge surge in corruption was witnessed. Meanwhile, the one-year tour of duty of American soldiers deprived units of experienced leadership. As one observer noted “we were not in Vietnam for 10 years, but for one year 10 times.”[verification needed] As a result, training programs were shortened. Washington encouraged its SEATO allies to contribute troops. Australia, New Zealand, Thailand, and the Philippines all agreed to send troops. South Korea would later ask to join the Many Flags program in return for economic compensation. Major allies, however, notably NATO nations Canada and the United Kingdom, declined Washington’s troop requests. The U.S. and its allies mounted complex search and destroy operations, designed to find enemy forces, destroy them, and then withdraw, typically using helicopters. In November 1965, the U.S. engaged in its first major battle with the North Vietnamese Army, the Battle of Ia Drang. The operation was the first large scale helicopter air assault by the U.S., and first to employ Boeing B-52 Stratofortress strategic bombers in a tactical support role. These tactics continued in 1966–67 with operations such as Masher, Thayer, Attleboro, Cedar Falls, and Junction City. However, the communist insurgents remained elusive and demonstrated great tactical flexibility. By 1967, these operations had generated large-scale internal refugees, numbering nearly 2.1 million in South Vietnam, with 125,000 people evacuated and rendered homeless during Operation Masher alone, which was the largest search and destroy operation in the war up to that point. Operation Masher would have negligible impact, however, as the NVA/VC returned to the province just four months after the operation ended. Despite the continual conductance of major operations, which the Viet Cong and NVA would typically evade, the war was characterised by smaller-unit contacts or engagements. Up to the war’s end, the Viet Cong and NVA would initiate 90% of large firefights, of which 80% were clear and well-planned operations, and thus the NVA/Viet Cong would retain strategic initiative despite overwhelming US force and fire-power deployment. The NVA/Viet Cong had furthermore developed strategies capable of countering U.S. military doctrines and tactics (see NLF and PAVN battle tactics). 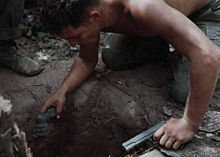 A US “tunnel rat” soldier prepares to enter a Viet Cong tunnel. The Johnson administration employed a “policy of minimum candor” in its dealings with the media. Military information officers sought to manage media coverage by emphasizing stories that portrayed progress in the war. Over time, this policy damaged the public trust in official pronouncements. As the media’s coverage of the war and that of the Pentagon diverged, a so-called credibility gap developed. Despite Johnson and Westmoreland publicly proclaiming victory was being achieved, with Westmoreland divulging that the “end is coming into view”, internal reports in the Pentagon Papers indicate that Viet Cong forces still retained strategic initiative, and were able to control their losses widely, with 30% of all engagements being Viet Cong attacks against static US positions, 23% being a VC/NVA ambush and encirclement, and just 5% of engagements being US forces attacking a Viet Cong emplacement and 9% being a US ambush against Viet Cong/NVA forces. In late 1967, the NVA lured American forces into the hinterlands at Đắk Tô and at the Marine Khe Sanh combat base in Quảng Trị Province, where the U.S. engaged in a series of battles known as The Hill Fights. These actions were part of a diversionary strategy meant to draw US forces towards the Central Highlands. Preparations were underway for the General Offensive, General Uprising, known as Tet Mau Than, or the Tet Offensive, with the intention of Văn Tiến Dũng for forces to launch “direct attacks on the American and puppet nerve centers—Saigon, Hue, Danang, all the cities, towns and main bases…” Hanoi sought to placate critics of the ongoing stalemate by planning a decisive victory. They reasoned that this could be achieved through sparking a general uprising within the towns and cities, along with mass defections among ARVN units, who were on holiday leave during the truce period. 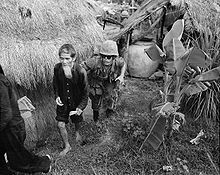 During the first month of the offensive, 1,100 Americans and other allied troops, 2,100 ARVN, and 14,000 civilians were killed. By the end of the first offensive, after two months, nearly 5,000 ARVN and over 4,000 U.S. forces had been killed, with total wounded of 45,820 and an unknown number of NVA/Viet Cong casualties, with some U.S. authors claiming the NVA and Viet Cong suffered 17,000 KIA and 32,000 total casualties including wounded. 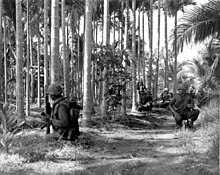 A month later a second offensive known as the Phase II/May Offensive was launched; although less widespread, it demonstrated the Viet Cong were still capable of carrying out orchestrated nationwide offensives. Two months later a third offensive was launched, the Phase III/August Offensive. The NVA’s own official records of their losses across all three offensives was 45,267 killed and 111,179 total casualties. By then it had become the bloodiest year of the war up to that point. The failure to spark a general uprising, and the fact that no units within the ARVN defected, meant both war goals of Hanoi had fallen flat at enormous costs. Prior to Tet, in November 1967, Westmoreland had spearheaded a public relations drive for the Johnson administration to bolster flagging public support. In a speech before the National Press Club he said a point in the war had been reached “where the end comes into view.” Thus, the public was shocked and confused when Westmoreland’s predictions were trumped by the Tet Offensive. Public approval of his overall performance dropped from 48 percent to 36 percent, and endorsement for the war effort fell from 40 percent to 26 percent.” The American public and media began to turn against Johnson as the three offensives contradicted claims of progress made by the Johnson administration and the military. On 10 May 1968, peace talks began between the United States and North Vietnam in Paris. Negotiations stagnated for five months, until Johnson gave orders to halt the bombing of North Vietnam. At the same time, Hanoi realized it could not achieve a “total victory” and employed a strategy known as “talking while fighting, fighting while talking”, in which military offensives would occur concurrently with negotiations. U.S. President Richard Nixon began troop withdrawals in 1969. His plan, called the Nixon Doctrine, was to build up the ARVN so that it could take over the defense of South Vietnam. The policy became known as “Vietnamization“. Theater commander Creighton Abrams shifted to smaller operations, aimed at disrupting logistics, with better use of firepower and more cooperation with the ARVN. On 27 October 1969, Nixon had ordered a squadron of 18 B-52s loaded with nuclear weapons to race to the border of Soviet airspace to convince the Soviet Union, in accord with the madman theory, that he was capable of anything to end the Vietnam War (“Operation Giant Lance”). Nixon had also sought détente with the Soviet Union and rapprochement with China, which decreased global tensions and led to nuclear arms reduction on the part of both superpowers; however, there was disappointment when both sides continued to supply the North Vietnamese with aid. In September 1969, Ho Chi Minh died at age seventy-nine. The failure of Tet in sparking a popular uprising caused a shift in Hanoi’s war strategy, and the Giáp–Chinh “Northern-First” faction regained control over military affairs from the Lê Duẩn–Hoàng Văn Thái “Southern-First” faction. An unconventional victory was sidelined in favor of a strategy built on conventional victory through conquest. Large-scale offensives were rolled back in favour of small-unit and sapper attacks as well as targeting the pacification and Vietnamization strategy. In the two-year period following Tet, the NVA had begun its transformation from a fine light-infantry, limited mobility force into a high-mobile and mechanised combined arms force. 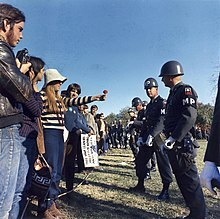 The anti-war movement was gaining strength in the United States. Nixon appealed to the “silent majority” of Americans who he said supported the war without showing it in public. 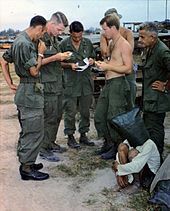 But revelations of the My Lai Massacre, in which a U.S. Army platoon raped and killed civilians, and the 1969 “Green Beret Affair“, where eight Special Forces soldiers, including the 5th Special Forces Group Commander, were arrested for the murder of a suspected double agent, provoked national and international outrage. Open refusal to engage in patrols or carry out orders and disobedience began to emerge during this period, with one notable case of an entire company refusing orders to engage or carry out operations. Unit cohesion began to dissipate and focused on minimising contact with Viet Cong and NVA troops. A practice known as “sand-bagging” started occurring, where units ordered to go on patrol would go into the country-side, find a site out of view from superiors and rest while radioing in false coordinates and unit reports. Drug usage increased rapidly among U.S. forces during this period, as 30% of U.S. troops engaged in regular usage of marijuana, while a House subcommittee found 10-15% of U.S. troops in Vietnam regularly used high-grade heroin. From 1969 on, search-and-destroy operations became referred to as “search and evade” or “search and avoid” operations, falsifying battle reports while avoiding guerrilla fighters. A total of 900 fragging and suspected fragging incidents were investigated, most occurring between 1969 and 1971. In 1969 field-performance of the U.S. Forces was characterised by lowered morale, lack of motivation, and poor leadership. The significant decline in U.S. morale was demonstrated by the Battle of FSB Mary Ann, one of the final engagements in which a sapper attack had rampaged and destroyed the base, relatively unchallenged. William Westmoreland, no longer in command but tasked with investigation of the failure, cited a clear dereliction of duty, lax defensive postures and lack of officers in charge as its cause. In the last years of the Army’s retreat, its remaining forces were relegated to static security. The American Army’s decline was readily apparent in this final stage. Racial incidents, drug abuse, combat disobedience, and crime reflected growing idleness, resentment, and frustration… the fatal handicaps of faulty campaign strategy, incomplete wartime preparation, and the tardy, superficial attempts at Vietnamization. An entire American army was sacrificed on the battlefield of Vietnam. In March 1970, Prince Sihanouk was deposed by his pro-American prime minister Lon Nol, who demanded that North Vietnamese troops leave Cambodia or face military action. North Vietnam invaded Cambodia at the request of the Khmer Rouge following negotiations with deputy leader Nuon Chea. A series of military operations in Cambodia by the South Vietnamese alongside Lon Nol’s FANK was the closest that the entire leadership of the Viet Cong came to being captured, a goal that US/RVN Intelligence failed to achieve for nearly a decade. Lon Nol began rounding up Vietnamese civilians in Cambodia into internment camps and massacring them, provoking harsh reactions from both the North Vietnamese and South Vietnamese government. A month after COSVN’s escape, U.S. and ARVN forces launched a second invasion into Cambodia to attack NVA and Viet Cong bases. A counter-offensive later that year as part of Operation Chenla II by the NVA would recapture most of the border areas and decimate most of Lon Nol’s forces. Building up on the success of ARVN units in Cambodia, and further testing the Vietnamization program, the ARVN were tasked to launch Operation Lam Son 719 in February 1971, the first major operation aimed directly at occupying the Ho Chi Minh trail by attacking the major crossroad of Tchperone. This offensive would also be the first time the NVA would field-test its combined arms force. The first few days were considered a success but the momentum had slowed after fierce resistance. Nguyễn Văn Thiệu had halted the general advance, leaving armoured divisions able to surround them. Thieu had ordered air assault troops to capture Tchepone and withdraw, despite facing four-times larger numbers. During the withdrawal the NVA counterattack had forced a panicked rout. Half of the ARVN troops involved were either captured or killed, half of the ARVN/US support helicopters were downed by anti-aircraft fire and the operation was considered a fiasco, demonstrating operational deficiencies still present within the ARVN. Richard Nixon and President Thieu had sought to use this event to show-case victory simply by capturing Tchepone, and it was spun off as an “operational success”. The war was central to the 1972 U.S. presidential election as Nixon’s opponent, George McGovern, campaigned on immediate withdrawal. Nixon’s National Security Advisor, Henry Kissinger, had continued secret negotiations with North Vietnam’s Lê Đức Thọ and on October 1972 reached an agreement. President Thieu demanded changes to the peace accord upon its discovery, and when North Vietnam went public with the agreement’s details, the Nixon administration claimed they were attempting to embarrass the president. The negotiations became deadlocked when Hanoi demanded new changes. To show his support for South Vietnam and force Hanoi back to the negotiating table, Nixon ordered Operation Linebacker II, a massive bombing of Hanoi and Haiphong 18–29 December 1972. Nixon pressured Thieu to accept the terms of the agreement, threatening to conclude a bilateral peace deal and cut off American aid while promising an air-response in case of invasion. On 15 January 1973, all U.S. combat activities were suspended. Lê Đức Thọ and Henry Kissinger, along with the Provisional Revolutionary Government (PRG, the Viet Cong’s government) Foreign Minister Nguyễn Thị Bình and a reluctant President Thiệu, signed the Paris Peace Accords on 27 January 1973. This officially ended direct U.S. involvement in the Vietnam War, created a ceasefire between North Vietnam/PRG and South Vietnam, guaranteed the territorial integrity of Vietnam under the Geneva Conference of 1954, called for elections or a political settlement between the PRG and South Vietnam, allowed 200,000 communist troops to remain in the south, and agreed to a POW exchange. There was a sixty-day period for the total withdrawal of U.S. forces. “This article”, noted Peter Church, “proved… to be the only one of the Paris Agreements which was fully carried out.” All US forces personnel were completely withdrawn by March 1973. On 15 March 1973, Nixon implied the US would intervene again militarily if the North launched a full offensive, and Secretary of Defense James Schlesinger re-affirmed this position during his June 1973 confirmation hearings. Public and congressional reaction to Nixon’s statement was unfavorable, prompting the U.S. Senate to pass the Case–Church Amendment to prohibit an intervention. NVA/VC leaders expected the ceasefire terms would favor their side, but Saigon, bolstered by a surge of U.S. aid received just before the ceasefire went into effect, began to roll back the Viet Cong. The communists responded with a new strategy hammered out in a series of meetings in Hanoi in March 1973, according to the memoirs of Trần Văn Trà. With U.S. bombings suspended, work on the Ho Chi Minh trail and other logistical structures could proceed unimpeded. Logistics would be upgraded until the North was in a position to launch a massive invasion of the South, projected for the 1975–76 dry season. 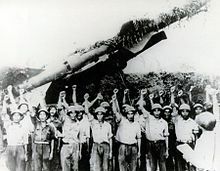 Tra calculated that this date would be Hanoi’s last opportunity to strike before Saigon’s army could be fully trained. The Viet Cong resumed offensive operations when the dry season began in 1973, and by January 1974 had recaptured territory it lost during the previous dry season. 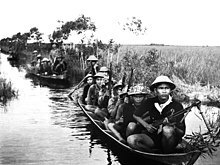 The success of the 1973–74 dry season offensive inspired Trà to return to Hanoi in October 1974 and plead for a larger offensive the next dry season. This time, Trà could travel on a drivable highway with regular fueling stops, a vast change from the days when the Ho Chi Minh trail was a dangerous mountain trek. Giáp, the North Vietnamese defence minister, was reluctant to approve of Trà’s plan since a larger offensive might provoke U.S. reaction and interfere with the big push planned for 1976. Trà appealed over Giáp’s head to first secretary Lê Duẩn, who approved of the operation. Trà’s plan called for a limited offensive from Cambodia into Phước Long Province. The strike was designed to solve local logistical problems, gauge the reaction of South Vietnamese forces, and determine whether U.S. would return. President Nguyễn Văn Thiệu, a former general, was fearful that his forces would be cut off in the north by the attacking communists; Thieu ordered a retreat, which soon turned into a bloody rout. While the bulk of ARVN forces attempted to flee, isolated units fought desperately. ARVN General Phu abandoned Pleiku and Kon Tum and retreated toward the coast, in what became known as the “column of tears”. On 20 March, Thieu reversed himself and ordered Huế, Vietnam’s third-largest city, be held at all costs, and then changed his policy several times. As the North Vietnamese launched their attack, panic set in, and ARVN resistance withered. On 22 March, the NVA opened the siege of Huế. Civilians flooded the airport and the docks hoping for any mode of escape. As resistance in Huế collapsed, North Vietnamese rockets rained down on Da Nang and its airport. By 28 March 35,000 NVA troops were poised to attack the suburbs. By 30 March 100,000 leaderless ARVN troops surrendered as the NVA marched victoriously through Da Nang. With the fall of the city, the defense of the Central Highlands and Northern provinces came to an end. Chaos, unrest, and panic broke out as hysterical South Vietnamese officials and civilians scrambled to leave Saigon. Martial law was declared. American helicopters began evacuating South Vietnamese, U.S., and foreign nationals from various parts of the city and from the U.S. embassy compound. Operation Frequent Wind had been delayed until the last possible moment, because of U.S. Ambassador Graham Martin‘s belief that Saigon could be held and that a political settlement could be reached. 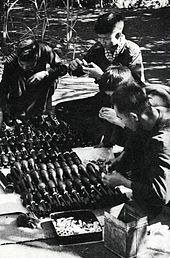 In 1950, China extended diplomatic recognition to the Viet Minh‘s Democratic Republic of Vietnam and sent heavy weapons, as well as military advisers led by Luo Guibo to assist the Viet Minh in its war with the French (1946–1954). The first draft of the 1954 Geneva Accords was negotiated by French prime minister Pierre Mendès France and Chinese Premier Zhou Enlai who, seeing U.S. intervention coming, urged the Viet Minh to accept a partition at the 17th parallel. China’s support for North Vietnam when the U.S. started to intervene included both financial aid and the deployment of hundreds of thousands of military personnel in support roles. In the summer of 1962, Mao Zedong agreed to supply Hanoi with 90,000 rifles and guns free of charge. Starting in 1965, China sent anti-aircraft units and engineering battalions to North Vietnam to repair the damage caused by American bombing, man anti-aircraft batteries, rebuild roads and railroads, transport supplies, and perform other engineering works. This freed North Vietnamese army units for combat in the South. China sent 320,000 troops and annual arms shipments worth $180 million. The Chinese military claims to have caused 38% of American air losses in the war. China claimed that its military and economic aid to North Vietnam and the Viet Cong totaled $20 billion (approx. $143 billion adjusted for inflation in 2015) during the Vietnam War. Included in that aid were donations of 5 million tons of food to North Vietnam (equivalent to NV food production in a single year), accounting for 10–15% of the North Vietnamese food supply by the 1970s. In 1967, the Chinese government launched a secret military program named “Project 523”. which intended to find an treatment for malaria to provide the assistance to North Vietnamese army who suffered malaria. As the result, Chinese scientist Youyou Tu and her collaborators discovered artemisinin. Tu was awarded Nobel Prize in 2015 for her contribution on the anti-malaria treatment. The Chinese also began financing the Khmer Rouge as a counterweight to the Vietnamese communists at this time. China “armed and trained” the Khmer Rouge during the civil war and continued to aid them for years afterward. The Khmer Rouge launched ferocious raids into Vietnam in 1975–1978. When Vietnam responded with an invasion that toppled the Khmer Rouge, China launched a brief, punitive invasion of Vietnam in 1979. Soviet ships in the South China Sea gave vital early warnings to Viet Cong forces in South Vietnam. The Soviet intelligence ships would pick up American B-52 bombers flying from Okinawa and Guam. Their airspeed and direction would be noted and then relayed to COSVN, North Vietnam’s southern headquarters. Using airspeed and direction, COSVN analysts would calculate the bombing target and tell any assets to move “perpendicularly to the attack trajectory.” These advance warnings gave them time to move out of the way of the bombers, and, while the bombing runs caused extensive damage, because of the early warnings from 1968 to 1970 they did not kill a single military or civilian leader in the headquarters complexes. The KGB had also helped developed the signals intelligence capabilities of the North Vietnamese, through an operation known as Vostok (also known as Phương Đông, meaning “Orient” and named after the Vostok 1). The Vostok program was a counterintelligence and espionage program. These programs were pivotal in detecting and defeating CIA and South Vietnamese commando teams sent into North Vietnam, as they were detected and captured. The Soviets helped the Ministry of Public Security recruit foreigners within high-level diplomatic circles among the Western-allies of the US, under a clandestine program known as “B12,MM” which produced thousands of high-level documents for nearly a decade, including targets of B-52 strikes. In 1975, the SIGINT services had broken information from Western US-allies in Saigon, determining that the US would not intervene to save South Vietnam from collapse. As a result of a decision of the Korean Workers’ Party in October 1966, in early 1967, North Korea sent a fighter squadron to North Vietnam to back up the North Vietnamese 921st and 923rd fighter squadrons defending Hanoi. The North Koreans stayed through 1968, and 200 pilots were reported to have served. [unreliable source][dead link] In addition, at least two anti-aircraft artillery regiments were sent as well. The Ministry of Public Security of Vietnam (Bộ Công An) states that there was special interest towards the Stasi of East Germany in establishing an intelligence and security apparatus, particularly since the Stasi was well-regarded and considered as “industrial, modern, and (with a) scientific working-style”. In official Vietnamese language histories on the Vietnamese Ministry of Public Security, the assistance provided by the Soviet and East German intelligence services to Vietnam is usually rated as the most important within the socialist bloc. East Germany had also provided a substantial amount of aid to help North Vietnam duplicate “Green Dragon” identity cards, which were created by Saigon in order to identify North Vietnamese combatants and were difficult to duplicate. The Polish People’s Republic had played a substantive role in brokering and serving as an intermediary for peace-talks between Hanoi and Saigon, as part of a delegation under the International Control Commission alongside Western European nations. Recent evidence has emerged that Poland played an early role in attempting to broker talks between Ngô Đình Nhu and the Diem regime and Hanoi in 1963 in an effort to prevent the expansion of the war, given that Polish representatives were the only communist nation present in Saigon and had acted as a broker and representative on behalf of Hanoi. Official records are vindictive of the role of ROK Forces in the war, as State Department reports publicly questioned their usefulness in the conflict, as they have “appeared to have been reluctant to undertake offensive operations, and are only useful in guarding a small sector of the populated area”. State department reports furthermore state that ROK forces engaged in systemic, well-organised corruption in diverting US-equipment, and that actual security was often provided by ARVN Territorial Forces, which lacked organic firepower and heavy artillery but served as a buffer between Korean units and the North Vietnamese Army. In addition, a RAND author conducting studies in South Vietnam in 1970 alleged that ROK forces had a “deliberate, systematic policy of committing atrocities”, prompting civilians to leave ROK-controlled sectors. 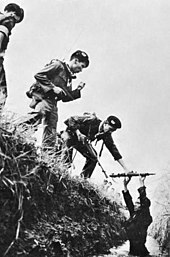 The conduct of ROK forces often emboldened and strengthened the Viet Cong, adding ranks from an otherwise neutral population and undermining efforts to defeat the insurgency overall. Approximately 320,000 South Korean soldiers were sent to Vietnam, each serving a one-year tour of duty. Maximum troop levels peaked at 50,000 in 1968, however all were withdrawn by 1973. About 5,099 South Koreans were killed and 10,962 wounded during the war. South Korea claimed to have killed 41,000 Viet Cong. An unknown percentage of ‘enemy combatants’ may have been unarmed civilians, as ROK Forces were estimated to have deliberately killed at least 9,000 civilians. The United States paid South Korean soldiers 236 million dollars for their efforts in Vietnam, and South Korean GNP increased five-fold during the war. Thai Army formations, including the Royal Thai Volunteer Regiment (Queen’s Cobras) and later the Royal Thai Army Expeditionary Division (Black Panthers), saw action in South Vietnam between 1965 and 1971. 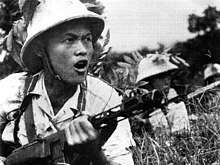 Thai forces saw much more action in the covert war in Laos between 1964 and 1972, though Thai regular formations there were heavily outnumbered by the irregular “volunteers” of the CIA-sponsored Police Aerial Reconnaissance Units or PARU, who carried out reconnaissance activities on the western side of the Ho Chi Minh trail. Australia and New Zealand, close allies of the United States and members of the Southeast Asia Treaty Organization (SEATO) and the ANZUS military co-operation treaty, sent ground troops to Vietnam. Both nations had gained experience in counterinsurgency and jungle warfare during the Malayan Emergency and World War II, and their governments subscribed to the Domino theory. New Zealand was, however, a reluctant participant. Officials expected a foreign intervention to fail, were concerned that they would be supporting a corrupt regime, and didn’t want to further stretch their country’s small military (which was already deployed to Malaysia). In the end, though, a desire to prove their commitment to the ANZUS alliance and discourage an American withdrawal from Southeast Asia necessitated a military commitment. Australia began by sending advisors to Vietnam in 1962, and combat troops were committed in 1965. New Zealand began by sending a detachment of engineers and an artillery battery, later sending special forces and regular infantry, which were attached to Australian formations. Australia’s peak commitment was 7,672 combat troops and New Zealand’s 552. Around 50,190 Australian personnel were involved during the course of the war, of which 521 were killed and more than 3,000 wounded. Approximately 3,500 New Zealanders served in Vietnam, with 37 killed and 187 wounded. Most Australians and New Zealanders served in the 1st Australian Task Force in Phước Tuy Province. Australia, with decades of experience from both the Malayan Emergency and its AATTV role in 1962, recognised the necessity of a true counter-insurgency, which relied on providing village-level security, establishing civilian trust and economic incentives and improving ARVN capabilities. This brought Australian commanders into conflict with Westmoreland’s conventional attrition warfare approach, since Australian ground forces were required to follow US doctrine. Nevertheless, Australian forces were generally the most capable at counter-insurgency, and they helped to train Regional Forces despite being under significant doctrinal constraints. Beginning in November 1967, Taiwan secretly operated a cargo transport detachment to assist the United States and South Vietnam. Taiwan also provided military training units for the South Vietnamese diving units, later known as the Lien Doi Nguoi Nhai (LDMN) or “Frogman unit” in English.. Military commandos from Taiwan were captured by North Vietnamese forces three times trying to infiltrate North Vietnam. Brazil, under a U.S.-backed military regime, officially supported the United States’s position in South Vietnam and contributed a medical team and supplies to the country—the only Latin American country to do so. Canada, India and Poland constituted the International Control Commission, which was supposed to monitor the 1954 ceasefire agreement. Officially, Canada did not have partisan involvement in the Vietnam War, and diplomatically, it was “non-belligerent“, though there is evidence to the contrary. The Vietnam War entry in The Canadian Encyclopedia asserts that Canada’s record on the truce commissions was a pro-Saigon partisan one. U.S. forces established numerous free-fire zones as a tactic to prevent Viet Cong fighters from sheltering in South Vietnamese villages. Such practice, which involved the assumption that any individual appearing in the designated zones was an enemy combatant that could be freely targeted by weapons, is regarded by journalist Lewis M. Simons as “a severe violation of the laws of war”. Nick Turse, in his 2013 book, Kill Anything that Moves, argues that a relentless drive toward higher body counts, a widespread use of free-fire zones, rules of engagement where civilians who ran from soldiers or helicopters could be viewed as Viet Cong, and a widespread disdain for Vietnamese civilians led to massive civilian casualties and endemic war crimes inflicted by U.S. troops. One example cited by Turse is Operation Speedy Express, an operation by the 9th Infantry Division, which was described by John Paul Vann as, in effect, “many My Lais”. A report by Newsweek magazine suggested that at minimum 5,000 civilians may have been killed during six months of the operation, as there was around 748 recovered weapons. R.J. Rummel estimated that 39,000 were killed by South Vietnam during the Diem-era in democide from a range of between 16,000 and 167,000 South Vietnamese civilians; for 1964 to 1975, Rummel estimated a total of 50,000 killed in democide, from a range of between 42,000 and 128,000. Thus, the total for 1954 to 1975 is 81,000, from a range of between 57,000 and 284,000 deaths caused by South Vietnam. Benjamin Valentino attributes possibly 110,000–310,000 “counter-guerrilla mass killings” of non-combatants to U.S. and South Vietnamese forces during the war. An estimated 26,000 to 41,000 civilian members of the PRG/NLF termed “VC Infrastructure” were killed during the Phoenix Program, by US and South Vietnamese intelligence and security, with an unknown number being innocent civilians. Torture and ill-treatment were frequently applied by the South Vietnamese to POWs as well as civilian prisoners. During their visit to the Con Son Prison in 1970, U.S. Congressmen Augustus F. Hawkins and William R. Anderson witnessed detainees either confined in minute “tiger cages” or chained to their cells, and provided with poor-quality food. A group of American doctors inspecting the prison in the same year found many inmates suffering symptoms resulting from forced immobility and torture. During their visits to transit detention facilities under American administration in 1968 and 1969, the International Red Cross recorded many cases of torture and inhumane treatment before the captives were handed over to South Vietnamese authorities. Torture was conducted by the South Vietnamese government in collusion with the CIA. Ami Pedahzur has written that “the overall volume and lethality of Viet Cong terrorism rivals or exceeds all but a handful of terrorist campaigns waged over the last third of the twentieth century”, based on the definition of terrorists as a non-state actor, and examining targeted killings and civilian deaths which are estimated at over 18,000 from 1966 to 1969. The US Department of Defense estimates the VC/NVA had conducted 36,000 murders and almost 58,000 kidnappings from 1967 to 1972, c. 1973. Statistics for 1968–72 suggest that “about 80 percent of the terrorist victims were ordinary civilians and only about 20 percent were government officials, policemen, members of the self-defence forces or pacification cadres.” Benjamin Valentino attributes 45,000–80,000 “terrorist mass killings” of non-combatants to the Viet Cong during the war. 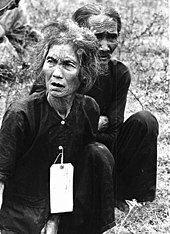 Viet Cong tactics included the frequent mortaring of civilians in refugee camps, and the placing of mines on highways frequented by villagers taking their goods to urban markets. Some mines were set only to go off after heavy vehicle passage, causing extensive slaughter aboard packed civilian buses. Although a small number of women were assigned to combat zones, they were never allowed directly in the field of battle. The women who served in the military were solely volunteers. They faced a plethora of challenges, one of which was the relatively small number of female soldiers. Living in a male-dominated environment created tensions between the sexes. By 1973, approximately 7,500 women had served in Vietnam in the Southeast Asian theater. American women serving in Vietnam were subject to societal stereotypes. To address this problem, the ANC released advertisements portraying women in the ANC as “proper, professional and well protected.” This effort to highlight the positive aspects of a nursing career reflected the feminism of the 1960s–1970s in the United States. Although female military nurses lived in a heavily male environment, very few cases of sexual harassment were ever reported. Memorial temple to Nguyễn Thị Định and the female volunteers of the PLAF whom she commanded. They came to call themselves the “Long-Haired Army”. In South Vietnam, many women voluntarily served in the ARVN‘s Women’s Armed Force Corps (WAFC) and various other Women’s corps in the military. Some, like in the WAFC, served in combat with other soldiers. Others served as nurses and doctors in the battlefield and in military hospitals, or served in South Vietnam or America’s intelligence agencies. During Diệm‘s presidency, Madame Nhu was the commander of the WAFC. 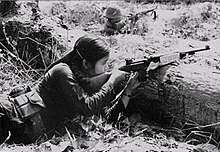 Many women joined provincial and voluntary village-level militia in the People’s Self Defense Force as part of the South Vietnamese Popular Force especially during the ARVN expansions later in the war. During the war more than one million rural people migrated or fled the fighting in the South Vietnamese countryside to the cities, especially Saigon. Among the internal refugees were many young women who became the ubiquitous “bargirls” of wartime South Vietnam, “hawking her wares—be that cigarettes, liquor, or herself” to American and allied soldiers. American bases were ringed by bars and brothels. The experience of American military personnel of African origin during the Vietnam War had received significant attention. For example, the website “African-American Involvement in the Vietnam War” compiles examples of such coverage, as does the print and broadcast work of journalist Wallace Terry. Terry’s book Bloods: An Oral History of the Vietnam War by Black Veterans (1984), includes observations about the impact of the war on the black community in general and on black servicemen specifically. Points he makes on the latter topic include: the higher proportion of combat casualties in Vietnam among African American servicemen than among American soldiers of other races, the shift toward and different attitudes of black military careerists versus black draftees, the discrimination encountered by black servicemen “on the battlefield in decorations, promotion and duty assignments” as well as their having to endure “the racial insults, cross-burnings and Confederate flags of their white comrades”—and the experiences faced by black soldiers stateside, during the war and after America’s withdrawal. Civil rights leaders protested the disproportionate casualties and the over-representation in hazardous duty and combat roles experienced by African American servicemen, prompting reforms that were implemented beginning in 1967–68. As a result, by the war’s completion in 1975, black casualties had declined to 12.5% of US combat deaths, approximately equal to percentage of draft-eligible black men, though still slightly higher than the 10% who served in the military. 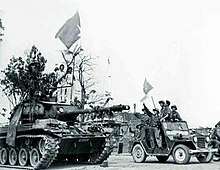 After the Tet Offensive, many North Vietnamese units incorporated light tanks such as the Type 62 Type 59 tank., BTR-60, Type 60 artillery, amphibious tanks (such as the PT-76) and integrated into new war doctrines as a mobile combined-arms force. The North Vietnamese started receiving experimental Soviet weapons against ARVN forces, including MANPADS 9K32 Strela-2, and anti-tank missiles, 9M14 Malyutka. By 1975, they had fully transformed from the strategy of mobile light-infantry and using the people’s war concept used against the United States. Two aircraft that were prominent in the war were the AC-130 “Spectre” Gunship and the UH-1 “Huey” gunship. The AC-130 was a heavily armed ground-attack aircraft variant of the C-130 Hercules transport plane, while the Huey is a military helicopter powered by a single, turboshaft engine; approximately 7,000 UH-1 aircraft saw service in Vietnam. The U.S. heavily armored, 90 mm M48A3 Patton tank saw extensive action during the Vietnam War, and over 600 were deployed with US Forces. Ground forces also had access to B-52 and F-4 Phantom II and other aircraft to launch napalm, white phosphorus, tear gas, chemical weapons, precision-guided munition and cluster bombs. The U.S. dropped over 7 million tons of bombs on Indochina during the war, more than triple the 2.1 million tons of bombs the U.S. dropped on Europe and Asia during all of World War II, and more than ten times the amount dropped by the U.S. during the Korean War. 500 thousand tons were dropped on Cambodia, 1 million tons were dropped on North Vietnam, and 4 million tons were dropped on South Vietnam. On a per capita basis, the 2 million tons dropped on Laos make it the most heavily bombed country in history; The New York Times noted this was “nearly a ton for every person in Laos.” Due to the particularly heavy impact of cluster bombs during this war, Laos was a strong advocate of the Convention on Cluster Munitions to ban the weapons, and was host to the First Meeting of States Parties to the convention in November 2010. Former U.S. Air Force official Earl Tilford has recounted “repeated bombing runs of a lake in central Cambodia. The B-52s literally dropped their payloads in the lake.” The Air Force ran many missions of this kind for the purpose of securing additional funding during budget negotiations, so the amount of tonnage expended does not directly correlate with the resulting damage. On 2 July 1976, North and South Vietnam were merged to form the Socialist Republic of Vietnam. 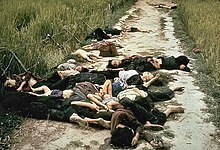 Despite speculation that the victorious North Vietnamese would, in President Nixon’s words, “massacre the civilians there [South Vietnam] by the millions,” there is a widespread consensus that no mass executions in fact took place. However, in the years following the war, a vast number of South Vietnamese was sent to re-education camps where many endured torture, starvation, and disease while being forced to perform hard labor. According to Amnesty International Report 1979, this figure varied considerably depend on different observers: “[…] included such figures as “50,000 to 80,000” (Le Monde, 19 April 1978), “150,000” (Reuters from Bien Hoa, 2 November 1977), “150,000 to 200,000” (Washington Post, 20 December 1978), and “300,000” (Agence France Presse from Hanoi, 12 February 1978).” Such variations may be because “Some estimates may include not only detainees but also people sent from the cities to the countryside.” According to a native observer, there were 443,360 people who had to register for a period in re-education camps in Saigon alone, and while some of them were released after a few days, others stayed there for more than a decade. Gabriel García Márquez, a Nobel Prize winning writer, described South Vietnam as a “False paradise” after the war, when he visited in 1980: “The cost of this delirium was stupefying: 360,000 people mutilated, a million widows, 500,000 prostitutes, 500,000 drug addicts, a million tuberculous and more than a million soldiers of the old regime, impossible to completely rehabilitate into a new society. Ten percent of the population of Ho Chi Minh City was suffering from serious venereal diseases when the war ended, and there were 4 million illiterates throughout the South.” The US used its security council veto to block Vietnam’s recognition by the United Nations three times, an obstacle to the country receiving international aid. The Pathet Lao overthrew the monarchy of Laos in December 1975, establishing the Lao People’s Democratic Republic under the leadership of a member of the royal family, Souphanouvong. The change in regime was “quite peaceful, a sort of Asiatic ‘velvet revolution‘”—although 30,000 former officials were sent to reeducation camps, often enduring harsh conditions for several years. The conflict between Hmong rebels and the Pathet Lao continued in isolated pockets. The millions of cluster bombs the US dropped on Southeast Asia rendered the landscape hazardous. In Laos alone, some 80 million bombs failed to explode and remain scattered throughout the country, rendering vast swathes of land impossible to cultivate and killing or maiming 50 Laotians every year. It is estimated that the explosives still remaining buried in the ground will not be removed entirely for the next few centuries. Over 3 million people left Vietnam, Laos, and Cambodia in the Indochina refugee crisis. Most Asian countries were unwilling to accept these refugees, many of whom fled by boat and were known as boat people. Between 1975 and 1998, an estimated 1.2 million refugees from Vietnam and other Southeast Asian countries resettled in the United States, while Canada, Australia, and France resettled over 500,000. China accepted 250,000 people. Of all the countries of Indochina, Laos experienced the largest refugee flight in proportional terms, as 300,000 people out of a total population of 3 million crossed the border into Thailand. Included among their ranks were “about 90 percent” of Laos’s “intellectuals, technicians, and officials.” An estimated 200,000 to 400,000 Vietnamese boat people died at sea, according to the United Nations High Commissioner for Refugees. Agent Orange and similar chemical substances used by the U.S. have also caused a considerable number of deaths and injuries in the intervening years, including among the US Air Force crews that handled them. Scientific reports have concluded that refugees exposed to chemical sprays while in South Vietnam continued to experience pain in the eyes and skin as well as gastrointestinal upsets. In one study, ninety-two percent of participants suffered incessant fatigue; others reported monstrous births. Meta-analyses of the most current studies on the association between Agent Orange and birth defects have concluded that there is a statistically significant correlation such that having a parent who was exposed to Agent Orange at any point in their life will increase one’s likelihood of either possessing or acting as a genetic carrier of birth defects. The most common deformation appears to be spina bifida. There is substantial evidence that the birth defects carry on for three generations or more. In 2012, the United States and Vietnam began a cooperative cleaning up of the toxic chemical on part of Danang International Airport, marking the first time Washington has been involved in cleaning up Agent Orange in Vietnam. In the post-war era, Americans struggled to absorb the lessons of the military intervention. As General Maxwell Taylor, one of the principal architects of the war, noted, “First, we didn’t know ourselves. We thought that we were going into another Korean War, but this was a different country. Secondly, we didn’t know our South Vietnamese allies… And we knew less about North Vietnam. Who was Ho Chi Minh? Nobody really knew. So, until we know the enemy and know our allies and know ourselves, we’d better keep out of this kind of dirty business. It’s very dangerous.” President Ronald Reagan coined the term “Vietnam Syndrome” to describe the reluctance of the American public and politicians to support further international interventions after Vietnam. According to a 2004 Gallup poll, 62 percent of Americans believed it was an unjust war. US public polling in 1978 reveal nearly 72% of Americans believing the war was “fundamentally wrong and immoral”, nearly a decade later the number reduced to 66% and by 1985 to 2000 surveys consistently show 34–35% believing the war was fundamentally wrong and immoral. Nearly a third of Americans believed the war was a noble cause when surveyed in 2000. The Vietnam War POW/MIA issue, concerning the fate of U.S. service personnel listed as missing in action, persisted for many years after the war’s conclusion. 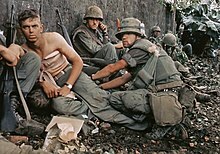 The costs of the war loom large in American popular consciousness; a 1990 poll showed that the public incorrectly believed that more Americans lost their lives in Vietnam than in World War II. More than 3 million Americans served in the Vietnam War, some 1.5 million of whom actually saw combat in Vietnam. 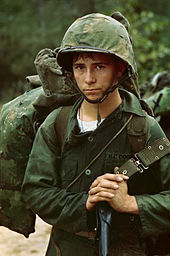 James E. Westheider wrote that “At the height of American involvement in 1968, for example, there were 543,000 American military personnel in Vietnam, but only 80,000 were considered combat troops.” Conscription in the United States had been controlled by the president since World War II, but ended in 1973. By war’s end, 58,220 American soldiers had been killed,[A 3] more than 150,000 had been wounded, and at least 21,000 had been permanently disabled. The average age of the U.S. troops killed in Vietnam was 23.11 years. 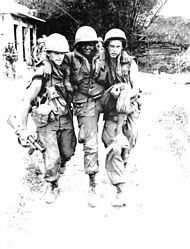 According to Dale Kueter, “Of those killed in combat, 86.3 percent were white, 12.5 percent were black and the remainder from other races.” Approximately 830,000 Vietnam veterans suffered some degree of posttraumatic stress disorder. An estimated 125,000 Americans left for Canada to avoid the Vietnam draft, and approximately 50,000 American servicemen deserted. In 1977, United States president Jimmy Carter granted a full and unconditional pardon to all Vietnam-era draft dodgers. As the Vietnam War continued inconclusively and became more unpopular with the American public, morale declined and disciplinary problems grew among American enlisted men and junior, non-career officers. Drug use, racial tensions, and the growing incidence of fragging—attempting to kill unpopular officers and non-commissioned officers with grenades or other weapons—created severe problems for the U.S. military and impacted its capability of undertaking combat operations. By 1971, a U.S. Army colonel writing in the Armed Forces Journal declared: “By every conceivable indicator, our army that now remains in Vietnam is in a state approaching collapse, with individual units avoiding or having refused combat, murdering their officers and non commissioned officers, drug-ridden, and dispirited where not near mutinous….The morale, discipline, and battle-worthiness of the U.S. Armed Forces are, with a few salient exceptions, lower and worse than at any time in this century and possibly in the history of the United States.” Between 1969 and 1971 the U.S. Army recorded more than 700 attacks by troops on their own officers. 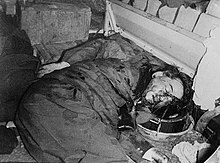 Eighty-three officers were killed and almost 650 were injured. The Vietnam War called into question the U.S. Army doctrine. Marine Corps General Victor H. Krulak heavily criticised Westmoreland’s attrition strategy, calling it “wasteful of American lives… with small likelihood of a successful outcome.” In addition, doubts surfaced about the ability of the military to train foreign forces. Furthermore, throughout the war there was found to be considerable flaws and dishonesty by officers and commanders due to promotions being tied to the body count system touted by Westmoreland and McNamara. Ron Milam has questioned the severity of the “breakdown” of the U.S. armed forces, especially among combat troops, as reflecting the opinions of “angry colonels” who deplored the erosion of traditional military values during the Vietnam War. Although acknowledging serious problems, he questions the alleged “near mutinous” conduct of junior officers and enlisted men in combat. Investigating one combat refusal incident, a journalist declared, “A certain sense of independence, a reluctance to behave according to the military’s insistence on obedience, like pawns or puppets…The grunts [infantrymen] were determined to survive…they insisted of having something to say about the making of decisions that determined whether they might live or die.” The morale and discipline problems and resistance to conscription (the draft) were important factors leading to the creation of an all-volunteer military force by the United States and the termination of conscription. The last conscript was inducted into the army in 1973. The all-volunteer military moderated some of the coercive methods of discipline previously used to maintain order in military ranks. The defoliants, which were distributed in drums marked with color-coded bands, included the “Rainbow Herbicides“—Agent Pink, Agent Green, Agent Purple, Agent Blue, Agent White, and most famously, Agent Orange, which included dioxin as a byproduct of its manufacture. 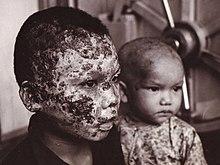 About 11–12 million gallons (41.6–45.4 million L) of Agent Orange were sprayed over southern Vietnam between 1961 and 1971. A prime area of Ranch Hand operations was in the Mekong Delta, where the U.S. Navy patrol boats were vulnerable to attack from the undergrowth at the water’s edge. In 1961 and 1962, the Kennedy administration authorized the use of chemicals to destroy rice crops. 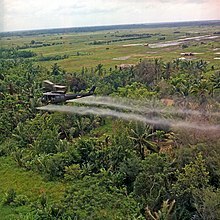 Between 1961 and 1967, the U.S. Air Force sprayed 20 million U.S. gallons (75,700,000 L) of concentrated herbicides over 6 million acres (24,000 km2) of crops and trees, affecting an estimated 13% of South Vietnam’s land. In 1965, 42% of all herbicide was sprayed over food crops. Another purpose of herbicide use was to drive civilian populations into RVN-controlled areas. 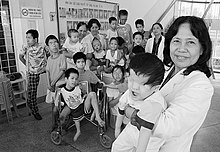 In 2006, Anh Duc Ngo and colleagues of the University of Texas Health Science Center published a meta-analysis that exposed a large amount of heterogeneity (different findings) between studies, a finding consistent with a lack of consensus on the issue on the effect of Agent Orange in Vietnam. Despite this, statistical analysis of the studies they examined resulted in data that the increase in birth defects/relative risk (RR) from exposure to agent orange/dioxin “appears” to be on the order of 3 in Vietnamese-funded studies, but 1.29 in the rest of the world. There is data near the threshold of statistical significance suggesting Agent Orange contributes to still-births, cleft palate, and neural tube defects, with spina bifida being the most statistically significant defect. The large discrepancy in RR between Vietnamese studies and those in the rest of the world has been ascribed to bias in the Vietnamese studies. The military forces of South Vietnam suffered an estimated 254,256 killed between 1960 and 1974 and additional deaths from 1954 to 1959 and in 1975. Other estimates point to higher figures of 313,000 casualties. The official US Department of Defense figure was 950,765 NVA/VC forces killed in Vietnam from 1965 to 1974. Defense Department officials believed that these body count figures need to be deflated by 30 percent. In addition, Guenter Lewy assumes that one-third of the reported “enemy” killed may have been civilians, concluding that the actual number of deaths of NVA/VC military forces was probably closer to 444,000. US reports of “enemy KIA”, referred to as body count were thought to have been subject to “falsification and glorification”, and a true estimate of NVA/VC combat deaths may be difficult to assess, as US victories were assessed by having a “greater kill ratio”. It was difficult to distinguish between civilians and military personnel on the Viet Cong side as many persons were part-time guerrillas or impressed labourers who did not wear uniforms and civilians actually killed were oftentimes written off as enemy KIA. MACV operation rarely made a distinction between unarmed civilians and combatants, there was drastic inflation of enemy casualties since it was directly tied to promotions and commendation. 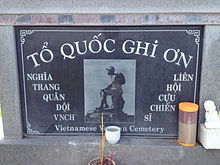 Stone plaque with photo of the “Thương tiếc” (Mourning Soldier) statue, originally, installed at the Republic of Vietnam National Military Cemetery. The original statue was demolished in April 1975. The Vietnam War has been featured extensively in television, film, video games, music and literature in the participant countries. In Vietnam, one notable film set during Operation Linebacker II was the film Girl from Hanoi (1975) depicting war-time life in Hanoi. Another notable work was the diary of Đặng Thùy Trâm, a Vietnamese doctor who enlisted in the Southern battlefield, and was killed at the age of 27 by US forces near Quảng Ngãi. Her diaries were later published in Vietnam as Đặng Thùy Trâm’s Diary (Last Night I Dreamed Of Peace), where it became a best-seller and was later made into a film Don’t Burn (Đừng Đốt). In Vietnam the diary has often been compared to The Diary of Anne Frank and both are used in literary education. Another Vietnamese film produced was The Abandoned Field: Free Fire Zone (Cánh đồng hoang) in 1979 which weaves the narrative of living on the ground in a US “free-fire zone” as well as perspectives from US helicopters. In American popular culture, the “Crazy Vietnam Veteran”, who was suffering from posttraumatic stress disorder, became a common stock character after the war. One of the first major films based on the Vietnam War was John Wayne‘s pro-war film, The Green Berets (1968). Further cinematic representations were released during the 1970s and 1980s, including Michael Cimino‘s The Deer Hunter (1978), Francis Ford Coppola‘s Apocalypse Now (1979), Oliver Stone‘s Platoon (1986) – based on his service in the U.S. military during the Vietnam War, Stanley Kubrick‘s Full Metal Jacket (1987), Hamburger Hill (1987), Born on the Fourth of July (1989), and Casualties of War (1989). Later films would include We Were Soldiers (2002) and Rescue Dawn (2007). The war also influenced a generation of musicians and songwriters in Vietnam and the United States, both anti-war and pro/anti-communist. The band Country Joe and the Fish recorded “I-Feel-Like-I’m-Fixin’-To-Die Rag” / The “Fish” Cheer in 1965, and it became one of the most influential anti-Vietnam protest anthems. Many songwriters and musicians supported the anti-war movement, including Pete Seeger, Joan Baez, Peggy Seeger, Ewan MacColl, Barbara Dane, The Critics Group, Phil Ochs, John Lennon, Nina Simone, Neil Young, Tom Paxton, Jimmy Cliff and Arlo Guthrie. The modern classical composer George Crumb composed a string quartet, a threnody, regarding the war in 1970 titled Black Angels. Recent scholarship has focused on “myth-busting”, attacking the previous orthodox and revisionist schools of American historiography of the Vietnam War. This scholarship challenges myths about American society and soldiery in the Vietnam War. Michael Allen in Until The Last Man Comes Home also accuses Nixon of myth making, by exploiting the plight of the League of Wives of American Prisoners in Vietnam and the National League of Families of American Prisoners and Missing in Southeast Asia to allow the government to appear caring as the war was increasingly considered lost. Allen’s analysis ties the position of potential missing or prisoner Americans into post-war politics and recent presidential elections, including the Swift boat controversy in US electoral politics. ^ a b Due to the early presence of U.S. troops in Vietnam the start date of the Vietnam War is a matter of debate. In 1998, after a high level review by the Department of Defense (DoD) and through the efforts of Richard B. Fitzgibbon’s family the start date of the Vietnam War according to the US government was officially changed to 1 November 1955. U.S. government reports currently cite 1 November 1955 as the commencement date of the “Vietnam Conflict”, because this date marked when the U.S. Military Assistance Advisory Group (MAAG) in Indochina (deployed to Southeast Asia under President Truman) was reorganized into country-specific units and MAAG Vietnam was established. Other start dates include when Hanoi authorized Viet Cong forces in South Vietnam to begin a low-level insurgency in December 1956, whereas some view 26 September 1959, when the first battle occurred between the Viet Cong and the South Vietnamese army, as the start date. ^ “Why did Sweden support the Viet Cong?”. HistoryNet. 25 July 2013. Retrieved 20 July 2016. ^ “Sweden announces support to Viet Cong”. HISTORY.com. Retrieved 20 July 2016. 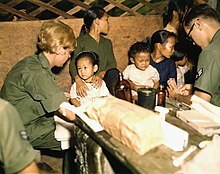 In Sweden, Foreign Minister Torsten Nilsson reveals that Sweden has been providing assistance to the Viet Cong, including some $550,000 worth of medical supplies. Similar Swedish aid was to go to Cambodian and Laotian civilians affected by the Indochinese fighting. This support was primarily humanitarian in nature and included no military aid. ^ “Chapter Three: 1957–1969 Early Relations between Malaysia and Vietnam” (PDF). University of Malaya Student Repository. p. 72. Retrieved 17 October 2015. ^ Tunku Abdul Rahman Putra Al-Haj (Profiles of Malaysia’s Foreign Ministers) (PDF). Institute of Diplomacy and Foreign Relations (IDFR), Ministry of Foreign Affairs (Malaysia). 2008. p. 31. ISBN 978-9832220268. Archived (PDF) from the original on 16 October 2015. Retrieved 17 October 2015. The Tunku had been personally responsible for Malaya’s partisan support of the South Vietnamese regime in its fight against the Vietcong and, in reply to a Parliamentary question on 6 February 1962, he had listed all the used weapons and equipment of the Royal Malaya Police given to Saigon. These included a total of 45,707 single-barrel shotguns, 611 armoured cars and smaller numbers of carbines and pistols. Writing in 1975, he revealed that “we had clandestinely been giving ‘aid’ to Vietnam since early 1958. Published American archival sources now reveal that the actual Malaysian contributions to the war effort in Vietnam included the following: “over 5,000 Vietnamese officers trained in Malaysia; training of 150 U.S. soldiers in handling Tracker Dogs; a rather impressive list of military equipment and weapons given to Viet-Nam after the end of the Malaysian insurgency (for example, 641 armored personnel carriers, 56,000 shotguns); and a creditable amount of civil assistance (transportation equipment, cholera vaccine, and flood relief)”. It is undeniable that the Government’s policy of supporting the South Vietnamese regime with arms, equipment and training was regarded by some quarters, especially the Opposition parties, as a form of interfering in the internal affairs of that country and the Tunku’s valiant efforts to defend it were not convincing enough, from a purely foreign policy standpoint. ^ Victory in Vietnam: The Official History of the People’s Army of Vietnam, 1954–1975. Translated by Merle Pribbenow, Lawerence KS: University of Kansas Press, 2002, p. 211: “By the end of 1966 the total strength of our armed forces was 690,000 soldiers.”. According to Hanoi’s official history, the Viet Cong was a branch of the People’s Army of Vietnam. ^ a b “China admits 320,000 troops fought in Vietnam”. Toledo Blade. Reuters. 16 May 1989. Retrieved 24 December 2013. ^ Roy, Denny (1998). China’s Foreign Relations. Rowman & Littlefield. p. 27. ISBN 978-0847690138. ^ O’Ballance, Edgar (1982). Tracks of the bear: Soviet imprints in the seventies. Presidio. p. 171. ISBN 9780891411338. ^ Pham Thi Thu Thuy (1 August 2013). “The colorful history of North Korea-Vietnam relations”. NK News. Retrieved 3 October 2016. ^ Pike, John. “Cambodia Civil War, 1970s”. www.globalsecurity.org. ^ “The rise of Communism”. www.footprinttravelguides.com. Archived from the original on 17 November 2010. Retrieved 31 May 2018. 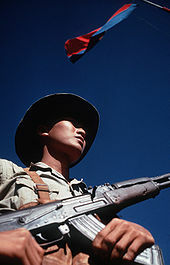 ^ “Hmong rebellion in Laos”. ^ Pike, John. “Pathet Lao Uprising”. ^ a b c d e f g Charles Hirschman et al., “Vietnamese Casualties During the American War: A New Estimate”, Population and Development Review, December 1995. 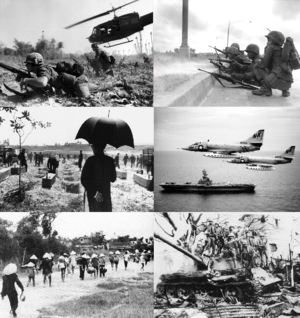 ^ “Battlefield:Vietnam – Timeline”. PBS. ^ a b c “Chuyên đề 4 CÔNG TÁC TÌM KIẾM, QUY TẬP HÀI CỐT LIỆT SĨ TỪ NAY ĐẾN NĂM 2020 VÀ NHỮNG NĂM TIẾP THEO”. ^ “Công tác tìm kiếm, quy tập hài cốt liệt sĩ từ nay đến năm 2020 và những năn tiếp theo” [The work of searching and collecting the remains of martyrs from now to 2020 and the next] (in Vietnamese). Ministry of Defence, Government of Vietnam. ^ Communist Party of Vietnam. “Đời đời nhớ ơn các anh hùng liệt sĩ!” [Eternal gratitude to the heroes and martyrs!] (in Vietnamese). Retrieved 11 June 2018. ^ James F. Dunnigan; Albert A. Nofi (2000). Dirty Little Secrets of the Vietnam War: Military Information You’re Not Supposed to Know. Macmillan. ISBN 978-0-312-25282-3. ^ “North Korea fought in Vietnam War”. BBC News Online. 31 March 2000. Retrieved 18 October 2015. ^ a b Vietnam Veterans Memorial Fund (29 May 2017). “3 new names added to Vietnam Veterans Memorial wall” (Press release). Associated Press. ^ America’s Wars (PDF) (Report). Department of Veterans Affairs. May 2010. Archived from the original (PDF) on 24 January 2014. ^ Anne Leland; Mari–Jana “M-J” Oboroceanu (26 February 2010). American War and Military Operations: Casualties: Lists and Statistics (PDF) (Report). Congressional Research Service. ^ “Australian casualties in the Vietnam War, 1962–72”. Australian War Memorial. Retrieved 29 June 2013. ^ “Overview of the war in Vietnam”. New Zealand and the Vietnam War. 16 July 1965. Archived from the original on 26 July 2013. Retrieved 29 June 2013. ^ “America Wasn’t the Only Foreign Power in the Vietnam War”. 2 October 2013. Retrieved 10 June 2017. ^ “Chapter III: The Philippines”. History.army.mil. Archived from the original on 29 October 2013. Retrieved 24 February 2014. ^ “Asian Allies in Vietnam” (PDF). Embassy of South Vietnam. March 1970. Retrieved 18 October 2015. ^ Shenon, Philip (23 April 1995). “20 Years After Victory, Vietnamese Communists Ponder How to Celebrate”. The New York Times. Retrieved 24 February 2011. The Vietnamese government officially claimed a rough estimate of 2 million civilian deaths, but it did not divide these deaths between those of North and South Vietnam. ^ a b c Heuveline, Patrick (2001). “The Demographic Analysis of Mortality in Cambodia”. Forced Migration and Mortality. National Academy Press. pp. 102–04, 120, 124. ISBN 978-0309073349. As best as can now be estimated, over two million Cambodians died during the 1970s because of the political events of the decade, the vast majority of them during the mere four years of the ‘Khmer Rouge’ regime. … Subsequent reevaluations of the demographic data situated the death toll for the [civil war] in the order of 300,000 or less. ^ a b c Banister, Judith; Johnson, E. Paige (1993). “After the Nightmare: The Population of Cambodia”. Genocide and Democracy in Cambodia: The Khmer Rouge, the United Nations and the International Community. Yale University Southeast Asia Studies. p. 87. ISBN 978-0938692492. An estimated 275,000 excess deaths. We have modeled the highest mortality we can justify for the early 1970s. ^ a b c d Sliwinski, Marek (1995). 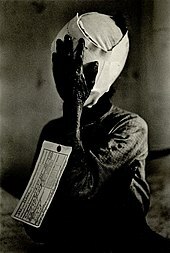 Le Génocide Khmer Rouge: Une Analyse Démographique [The Khmer Rouge genocide: A demographic analysis]. Paris: L’Harmattan. pp. 42–43, 48. ISBN 978-2738435255. ^ a b Factasy. “The Vietnam War or Second Indochina War”. PRLog. Retrieved 29 June 2013. ^ Lind, Michael (1999). “Vietnam, The Necessary War: A Reinterpretation of America’s Most Disastrous Military Conflict”. The New York Times. Retrieved 17 January 2014. ^ “Could Vietnam have been nuked in 1954?”. BBC News. 5 May 2014 – via www.bbc.com. ^ a b “Vietnam War Allied Troop Levels 1960–73”. www.americanwarlibrary.com. Archived from the original on 2 August 2016. Retrieved 1 June 2018. ^ Vietnam War Statistics and Facts 1, 25th Aviation Battalion website. 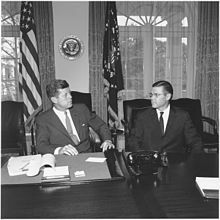 ^ “McNamara becomes Vietnam War skeptic, Oct. 14, 1966”. Politico. Retrieved 1 June 2018. ^ Kolko 1985, pp. 457, 461ff. ^ Kalb, Marvin (22 January 2013). “It’s Called the Vietnam Syndrome, and It’s Back”. Brookings Institution. Retrieved 12 June 2015. ^ Horne, Alistair (2010). Kissinger’s Year: 1973. Phoenix Press. pp. 370–371. ISBN 978-0-7538-2700-0. ^ Meaker, Scott S. F (4 November 2015). Unforgettable Vietnam War: The American War in Vietnam – War in the Jungle. ^ Ellsberg, Daniel (2 February 2018). “The doomsday machine – Talks at Google (February 2018)”. Talks at google. Google / Daniel Ellsberg. Retrieved 1 June 2018. ^ McNamara 1999, pp. 377–79. ^ “The Vietnam War Seeds of Conflict 1945–1960”. The History Place. Retrieved 13 May 2013. ^ Pentagon Papers, Gravel, ed, Chapter 2, ‘U.S. Involvement in the Franco-Viet Minh War’, p. 54. ^ a b “The History Place – Vietnam War 1945–1960”. Retrieved 11 June 2008. ^ Herring 2001, p. 18. ^ Zinn, A People’s History of the United States, p. 471. ^ Vietnam at War: The History: 1946–1975, ISBN 978-0195067927, p. 263. ^ The U.S. Navy: a history, Naval Institute Press, 1997, Nathan Miller, ISBN 978-1557505958, pp. 67–68. ^ a b The Pentagon Papers. Gravel, ed. vol. 1, pp. 391–404. ^ “China Contributed Substantially to Vietnam War Victory, Claims Scholar”. Wilson Center. 1 January 2001. Retrieved 20 May 2018. ^ “Echoes from the Past: An Inquiry into the Nature and Causes of the Vietnam War – Armstrong Undergraduate Journal of History”. www.armstrong.edu. Retrieved 20 May 2018. ^ Press release by the Embassy of the Republic of Vietnam, quoted from the Washington, DC press and Information Service, vol I. no. 18 (22 July 1955) and no. 20 (18 August 1955), in Chapter 19 of Gettleman, Franklin and Young, Vietnam and America: A Documented History, pp. 103–05. ^ Kinzer, Stephen (2013). The Brothers: John Foster Dulles, Allen Dulles, and Their Secret World War. Macmillan. pp. 195–96. ISBN 978-1429953528. ^ Patrick, Johnson, David (2009). Selling “Operation Passage to Freedom”: Dr. Thomas Dooley and the Religious Overtones of Early American Involvement in Vietnam (Thesis). University of New Orleans. ^ Fall 1967, p. [page needed]. ^ Karnow 1997, p. 238. ^ Kolko 1985, p. 98. ^ John Prados, “The Numbers Game: How Many Vietnamese Fled South In 1954?”. The VVA Veteran (January/February 2005). Archived from the original on 27 May 2006. Retrieved 11 May 2017. ^ Turner 1975, p. 143. ^ Gittinger, J. Price (1959). “Communist Land Policy in North Viet Nam”. Far Eastern Survey. 28 (8): 113–126. doi:10.2307/3024603. JSTOR 3024603. ^ Courtois, Stephane; et al. (1997).